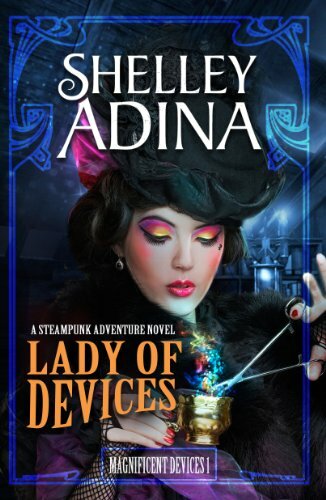 Gail Carriger (the Parasol Protectorate and Custard Protocol series) and Shelley Adina (the Magnificent Devices series) write steampunk with a feminist and funny bent. Join them for some laughter, some craft, some great clothes, and a little speculation about why steampunk lends itself so well to strong heroines. What’s working today, must-haves, and don’t-bothers for the indie published author. Suppose your character arcs are clear, your tension is tight, your pacing is perfect. What about the words? How do you avoid plain, plodding prose? When should you go passive or active? When should sentences be longer or shorter? How many words should you cut from dialogue? Our panel of writers share their techniques and approaches! A very full schedule. Sounds like a lot of fun. You’re with some very special folks! Wow! Good on ya! Certainly does sound like fun…..keep your voice in good shape my dear LOL!